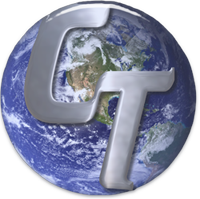 Connectweb Technologies, Inc. was founded in 1999 by two brothers seeking to combine their knowledge and experience of the stamp world with the world wide web. The company was initially started to provide and develop software that would allow small stamp shop owners the ability to manage their own website without hiring a team of employees. The first product produced by Connectweb was Stamp Shop Web, later to become Custom Vantage Web, the online shopping cart solution that allows shop owners the ability to manage and customize their website themselves. Since the start of Connectweb, the company has expanded and grown in many ways. Custom Vantage Web has grown into the ultimate web solution for shop owners to sell and manage their own website. With the development of Customer Chat, shop owners can now communicate instantly with their customers online by answering questions and closing sales. Additionally, Custom Vantage Office automatically typesets impressions into CorelDraw for you - saving you time and money. Connectweb Technologies, Inc. strives to develop software that best meets the needs of their customers. A top quality custom web site or computer application which meets or exceeds the customer’s expectations. We believe that quality products and services are the direct result of qualified individuals working together for a common goal. That it is the service we provide that is special, and which sets us apart from our competition and therefore it is that top level of service, which must be maintained by every individual, associated with every aspect of our business. We are very aware that it is the Customer who ultimately provides for our security and therefore must be treated fairly and with respect.After all, it is the customer who actually provides us with our paychecks. To treat our Customers, Employees and Community in such a way as to honor God. To provide the best possible product service to customers, To go the extra mile for our customers and employees in treating them fairly and with respect, and to give back to the community in which we work by any means made available to us with the time, and financial resources provided to us through God by our efforts. Contact us for more information on our company by e-mailing sales@cwebtechnologies.com or calling us at 800-556-9932.